Allison Holker is a busy woman. She’s been on So You Think You Can Dance either as a contestant or an All-Star since season 2, she stars on VHI’s Hit The Floor and most recently recreated some of the most iconic dance movie scenes with husband tWitch on Buzzfeed. We recently had a chance to talk to Allison about something other than dance and she was just as enthusiastic about makeup and beauty as she is about dance. What’s your first beauty or makeup memory? I grew up not understanding makeup, I wasn’t really taught from a young age, how to use your moisturizers and how to use your primers on your face. I didn’t learn any of that. My first few jobs, I was a kid; I was hired to do the High School Musical films for Disney. Even then it was very minimal, light makeup. I was supposed to be playing a kid and I was a kid. So, I’ll never forget the first time I went into So You Think You Can Dance and I was 18 years old and at this point the only makeup I’d ever worn was very minimal, and we were supposed to do ballroom. And I was like ‘great, this is so exciting, I’ve never done this before’ but ballroom dancers go 100% with their makeup. So they tanned my body, they slicked my hair back, they gave me spit curls and they glammed my face up and I looked like old Hollywood with the nice bright red lip, the strong eyeliner, the lashes. I’ll never forget that because that was the first time I saw myself with makeup on my face. I loved it and it became some new for me that I started learning about at that time. Have you learned any beauty tricks on set? The girls I’m working with teach me so many things. I literally go to bed with so much cream on my face, I wake up in the morning looking like a new clean car. I’m shiny, I’m waxed up, I look beautiful. Before I got to bed, I hydrate my face a lot. I wash it, I put a treatment on, I put a serum on my face, I put eye cream on my face. And then I wake up and my face is set in and has a nice, natural shine to it and now it’s ready for the makeup to go on. And I think the biggest thing I’ve learned is that you need a lot of Vitamin C for your face. Any time you put makeup on your face, a primer before makeup is a necessity. 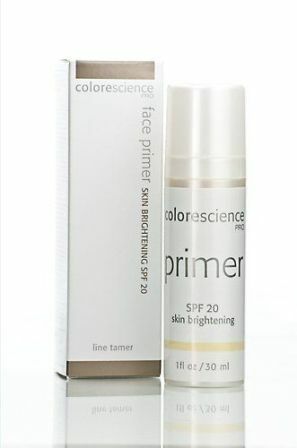 I happen to use Colorescience Skin Brightening Primer and I feel like it really sets nice on my face for my foundation. What I learned from Hit The Floor and So You Think You Can Dance is both shows believe in the Beauty Blender. I love the Beauty Blender, it just sets your foundation so nicely. What’s the one thing you won’t leave your house without doing? I do not leave the house without my eyebrows fixed. I have very thick eyebrows already but all of us have those little places we have to fill in, so that is my daily thing. 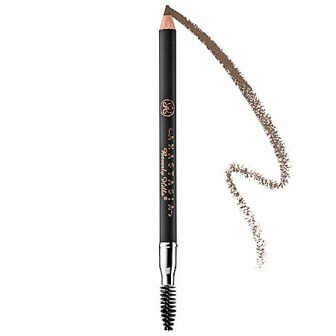 I use the Anastastia soft brown pencil and it’s literally the one thing I will not leave my house without done because I think eyebrows are the most crucial part of your face and if you have your eyebrows looking good, you look good. What do you always have to have in your makeup bag? My undereye concealer from Tarte. That’s a necessity for me. 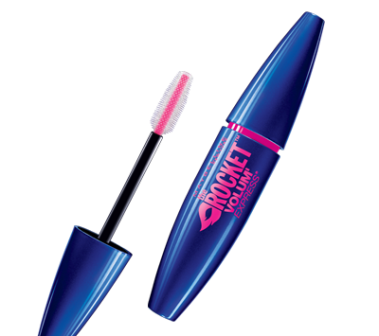 I always have to have my Maybelline Rocket mascara. I keep my Coco Chanel with me everywhere because I sweat a lot when I’m dancing and I don’t want people to smell that. I love a good gloss so I always keep a natural coloured gloss is always important but also, I always carry a stain on me for my lips because I’m a dancer, when I’m dancing I can’t wear gloss. I think dancers need to be aware when you’re dancing if you’re wearing a gloss, your hair will get stuck to your face and it doesn’t look that good in the lights. So there’s a stain that I love to use from Hourglass. And I have multiple colours and it’s always in my bag. And I always have the Nars Amour blush because if I need a touchup, I always go for blush, that’s what I notice the most. And blot pads because let’s be real, with anything eventually your face is going to get greasy so you have to clean your face periodically. So blot pads are a necessity in your bag. You can watch the season finale of Hit The Floor August 11 on VHI and catch So You Think You Can Dance every Wednesday on Fox. July might almost be over but it’s still Ice Cream month! 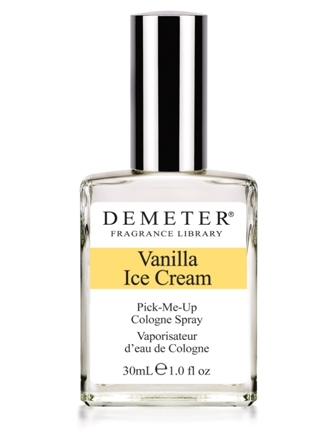 To celebrate our friends at Demeter have given us a prizepack of Vanilla Ice Cream, Salt Air and Pina Colada scents for our readers to win! 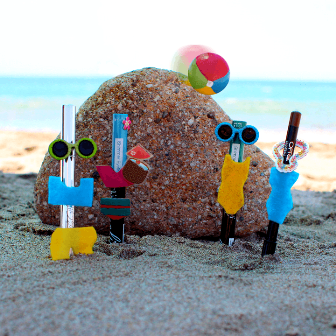 They’re the perfect fragrances for summer. You can also pick these up at select Loblaws and Real Superstore locations for $15 and there are so many to pick from. You can see all the Demeter scents at their website www.demeterfragrance.com. Sometimes you need to splurge on skin treatments, and other times you find a great product that does wonders for your skin for under $20. This is the case with the Masque Bar line from Look Beauty. These little masks are formulated to for a range of different skin types. It’s easy to figure out which one you want to use. Over a few months, I tried the Pore Reducing Crème Mask, the Brightening Sheet Mask and the Anti-Blemish Mud Mask. It would have been easy for Look Beauty to cheap out and just make a similar mask and call it different things. They didn’t! Each of the masks had their own properties. They all felt different and dried different. It gave me confidence that each was made different. There was one common theme though. After I rinsed off these masks, my skin always felt amazing. My face felt deeply moisturized without feeling sticky or wet. Most of all they left my face feeling really clean without getting dry. 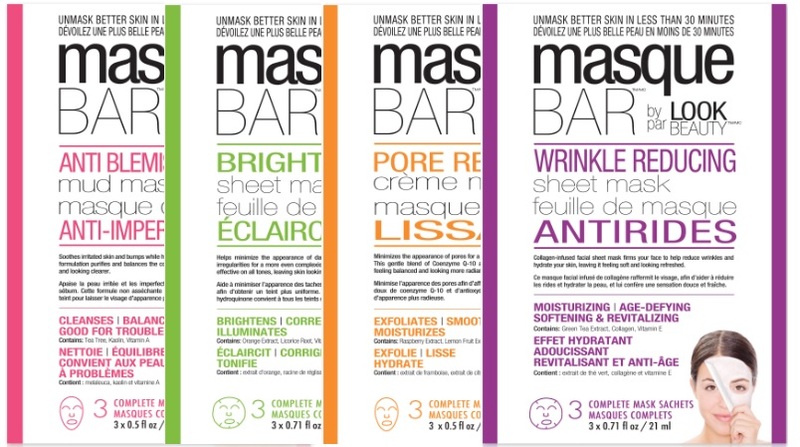 It’s all a delicate balance and the Masque Bar line has done it all. It’s going to be my new skin care secret! I’m not sure how, but I recently realized I’ve never used Almay makeup before, so when they offered to send us their Smart Shade collection I was really excited to try it. Almay’s Smart Shade line is supposed to make choosing makeup a lot easier. Instead of picking from a million shades, you pick light, medium, etc..and let the makeup do all the work. I usually have to choose the lightest foundation shades possible so I was slightly concerned that the light shade would be too dark for me. Unlike other shade matching foundations, it doesn’t come out of the tube white, it’s more like a light beige with little dots in it. It really did match my skintone perfectly and blended really well. 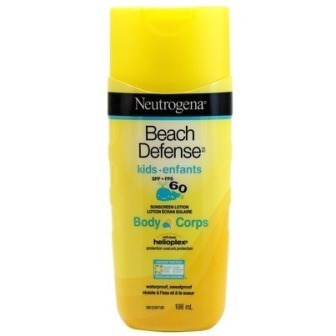 I don’t really need a full coverage foundation so this was lightweight enough for me. This is called a complexion correcting primer. I call it a highlighter. 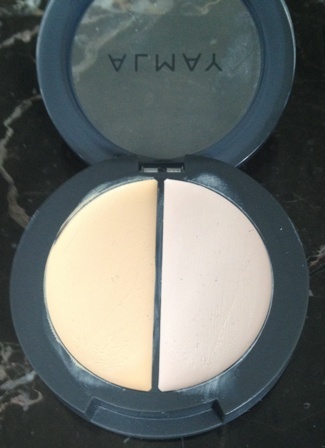 I generally like my primers a little less on the luminous side, as I just want a base to throw my makeup over. As a highlighter this is fantastic. It does give you a glow but you only need to use a little. I’m lucky enough that I don’t have dark circles or bags under my eyes but I do occasionally need concealer for redness and random breakouts. The concealer side of this was just a little too waxy for me and just a little too dark but the brightness side was perfect for the inside corner of my eyes. When I mixed both sides though, I got a really decent concealer. I tend to like powder blushes over creams because I find I have more control. 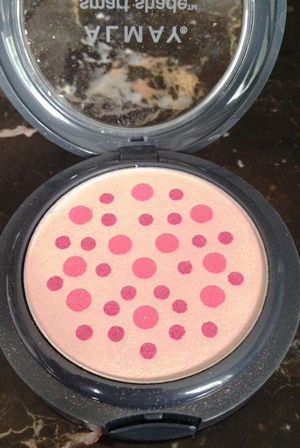 And I love the idea of the Smart Shade blush. This is the kind of blush that takes a little work to get the top layer soft enough to get enough pigment and I’m still working on it. The shade blends beautifully though, but I wish it was a tiny bit darker. This isn’t part of the Smart Shade line but it came with and it’s my favourite thing out of all of them. It’s a super sheer lip balm in a gorgeous peachy shade that smells like vanilla. It’s really creamy and makes my lips feel amazing. 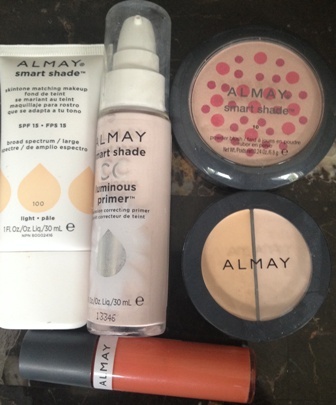 Overall I love the idea of Almay’s Smart Shade line, it takes a lot of the guess work out of choosing makeup. I would definitely keep using most of these products but probably not on a daily basis. Murale is the beauty only version of Shopper’s Drug Mart and is the Canadian exclusive store to a lot of brands. If you can’t get to a Murale location, you can shop online at Murale.ca. I recently had a chance to go to the Toronto location for a preview of what’s coming up for the rest of the summer and a little of the new stuff for fall. Different brands were set up around the store and my first stop was a Rococo Nail Apparel manicure. 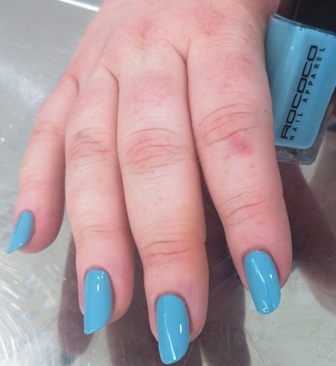 There were so many shades to choose from but I ended up choosing ‘Smitten,’ a gorgeous Tiffany blue. Rococo will be available at Murale in August. My next stop was the Monteil station. 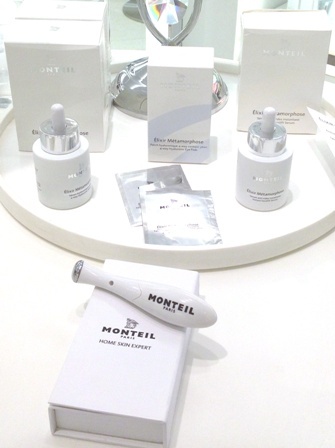 Monteil has been around since the 1930’s and is based in Germany, only a couple of their products are available in Canada right now, including the Elixir Metamorphose Instant Facelife Serum. 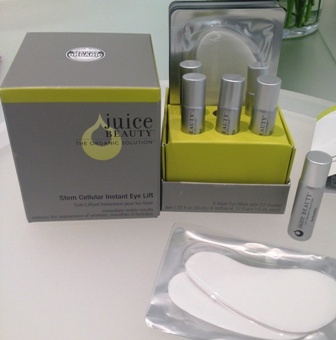 A lot more of the line is coming in September, including eye and lip treatments and a 4-way Hyaluronic Serum. 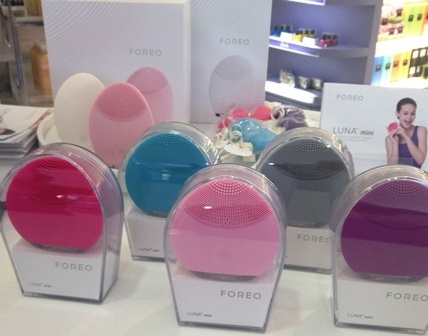 The Foreo Luna Mini Cleansing Device is different than any others I’ve seen. Its made completely of silicone so bacteria can’t get trapped. It comes in really cute colours and one charge can last for 300 uses. I can’t wait to try it out. 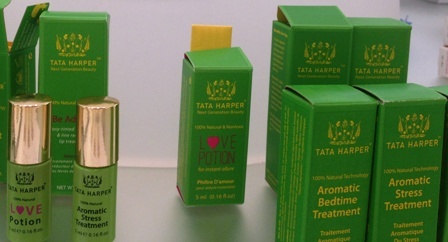 Tata Harper is Vermont based company whose products are 100% natural. This picture only shows a tiny bit of the line and I can’t wait to try the products. 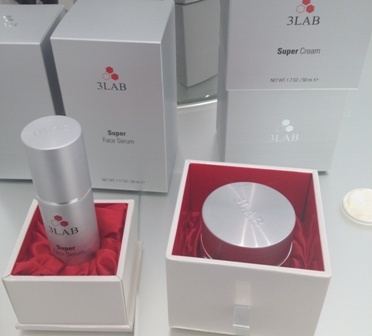 3Lab’s Super Cream is definitely what I would call a high end product. At $875 it claims to do everything from brightening to reducing the appearance of wrinkles. Since the closest I’m getting to one of these is when I got to try a tiny bit on my hand I can’t really say if it works. But if you can afford to get one, let us know what you think. I saw a lot more brands but either couldn’t fit them all in or just can’t show you yet but I was definitely excited to see what’s coming in the fall and can’t wait to find out what’s after that. Whether you know Jodi Lyn O’Keefe from Two And A Half Men, Prison Break or her new VH1 series Hit The Floor, there is no denying her beauty. From her captivating gaze to her amazing cheekbones, this talented actress always commands the screen. We took a few moments of Jodi Lyn O’Keefe’s time to find out how she stays so stunning. What is your first makeup or beauty related memory? I got started very young. My sisters who are 10 and 6 years older introduced me to the world of makeup. I copied everything they did. My mother was not thrilled! What is your everyday morning beauty routine like? 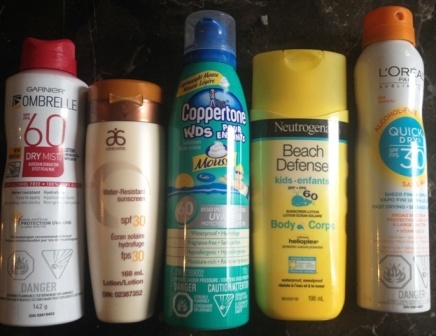 I’m a big fan of lotion, lotion, and more lotion. I mean tons of it. Water is also one of the essentials to my morning routine – 20 splashes every morning. I protect my skin with sun block every day, and add a light foundation and a bit of powder. Mascara, of course!!! A red lip, but not as bold as I would wear at night. Do you have any tricks that you have learned on sets? Being on set has really helped me master the trick of removing makeup without irritating my skin. I use Neutrogena Night Calming Makeup Remover throughout the day to avoid clogging my skin. Another set trick is to use lavender oil to maintain healthy looking skin. I try to avoid using too much heat so I generally do not use a curling iron or straightener unless on set. I also try not to blow-dry it too often. 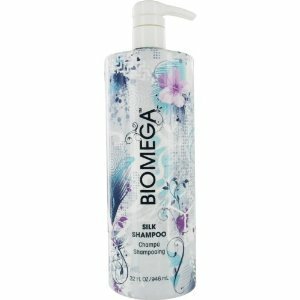 I don’t shampoo my hair every day, but when I do I like to use hair masks and Aquage’s Silk Shampoo. 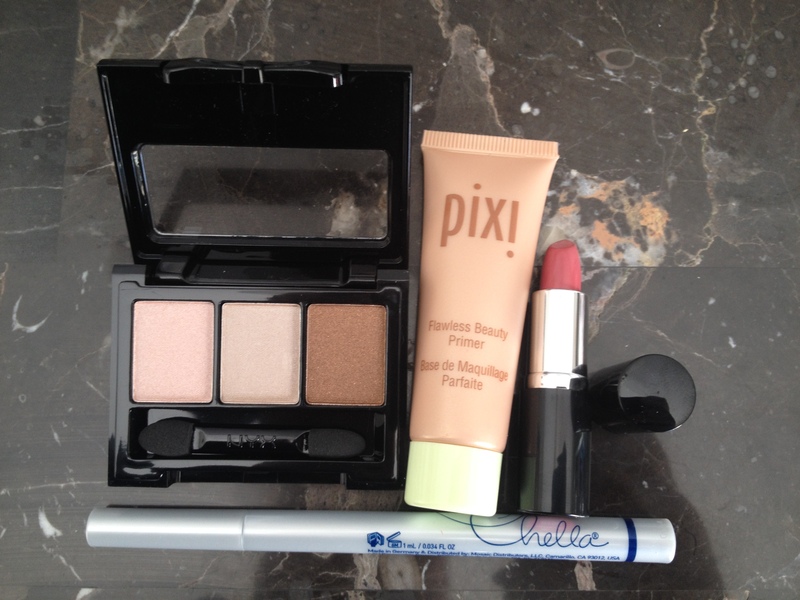 What are 4 products that are always in your makeup bag and you can’t live without? 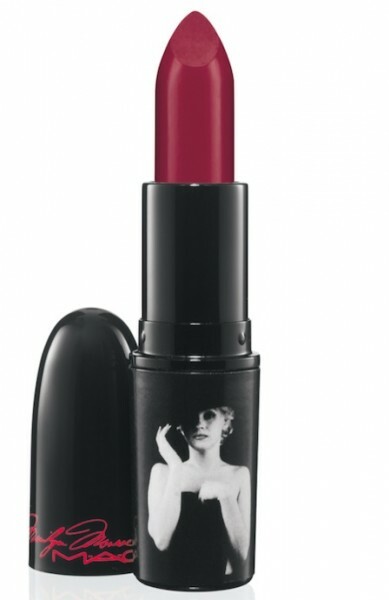 4) Red lipstick – MAC’s Marilyn Monroe’s Reds, designed by Gregory Arlt (See above) specifically for MAC. He designed five shades and if I have to pick a favorite one that I couldn’t live without it would be Charmed, I’m Sure… It’s the perfect red! 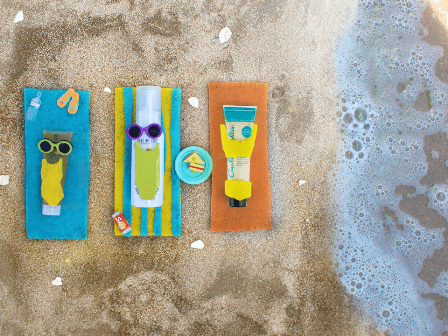 A new month means new spoilers for this month’s Ipsy. If you haven’t used Ipsy before it’s a monthly beauty subscription box. For $10 you get 4-5 samples or full size beauty products. 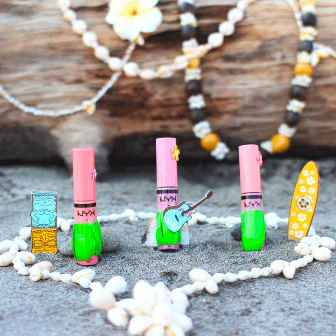 The theme this month is Pretty In Paradise. For more information on Ipsy you can go here. 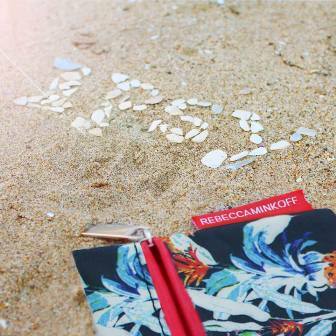 Rebecca Minkoff designed the bag this month. 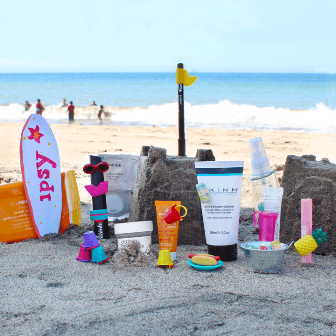 We can’t wait to see what’s in our bag this month! Glam rooms open Tuesday June 10th. Let us know what you’re getting.